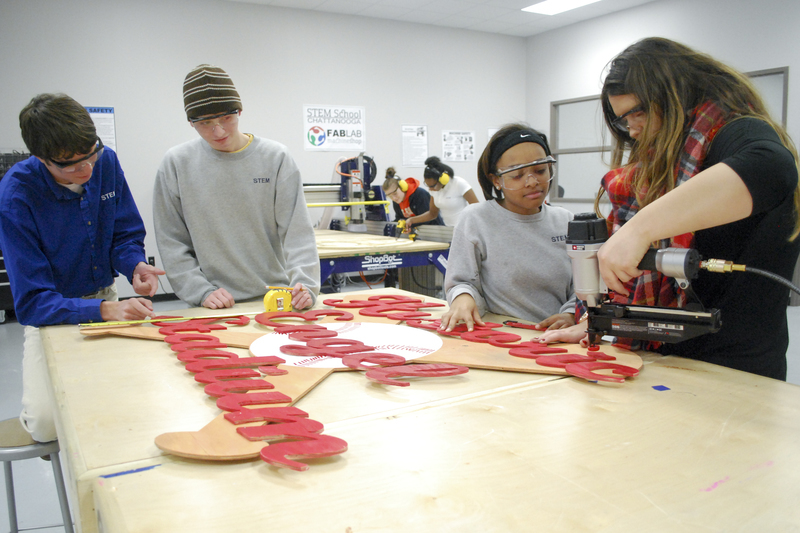 STEM School Chattanooga’s mission is to develop and share a new paradigm of world-class education for students. As part of our mission STEM School Chattanooga opens its doors to visits from educators from all over the world each year. Over the years, educators have asked repeatedly to visit and learn as much as possible so they are able to take back ideas, practices and concepts that they can contextualize to their own schools. The Educator Training dates are specifically set up to provide educators with an in-depth look into STEM School Chattanooga and create an infectious excitement on how school can be for students everywhere! Come and join us for our February Fridays to learn, engage and explore what is possible. Opportunity to interact and learn from exceptional teachers who develop and implement student centered classroom experiences. Participate in high energy engaging professional development that is applicable to creating the student centered learning experience. Learn what it means to balance content with process in order for students to learn and apply the critical tenets of critical thinking, collaboration and innovation. Energize your work in STEM education as you immerse in learning about STEM problem-project based learning, STEM business and community partnerships, and the internationally recognized digital fabrication education model for schools. Leave inspired, motivated, energized and committed to helping transform education now!